Steven (Chicagoland, United States) on 6 May 2011 in Animal & Insect and Portfolio. One of thousands of butterflies spotted at the Peggy Notabaert Nature Museum in Chicago, Illinois. Oh my goodness - the details of the wings are fabulous. beautiful focus on the eyes and a fantastic colourful bokeh. i really love all these different names animals and plants have round the world! we call it tree nymph, so i prefer your version ;-) beautiful and appealing close-up of this herold of spring! A superb framing ! Beautiful ! Wonderful BW wings indeed, makes me think of a chessboard or a piano. here in summer to make all the wonderful little butterflies and so the cycle begins. It's a smashing shot Stephen. 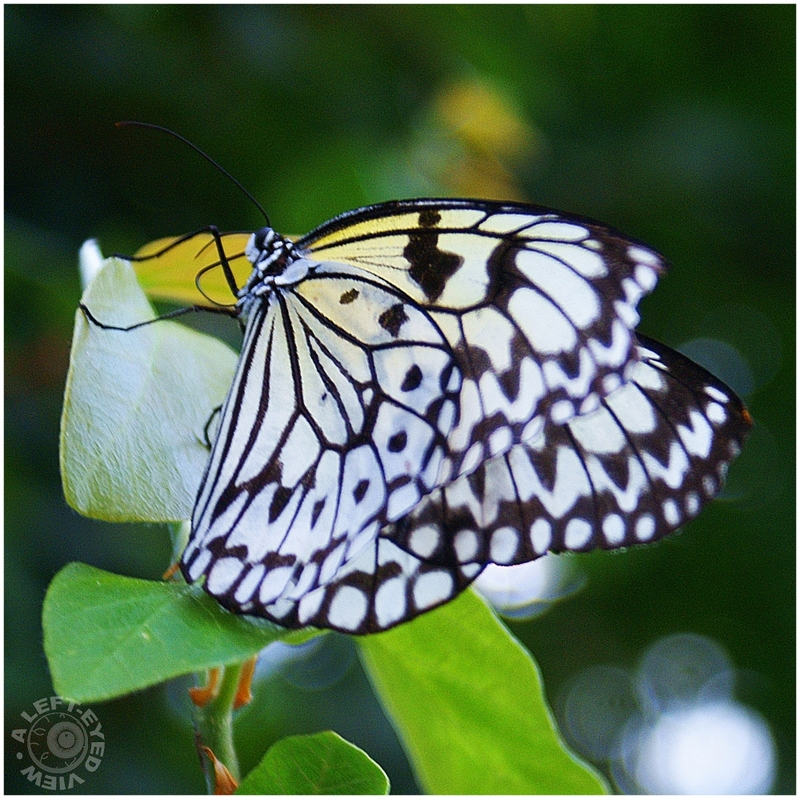 Beautiful macro of the beautiful butterfly! so crisp and clear! its feathers really appear to be made of paper! Great close-up shot Steven, and the B&W butterfly gets a boost from the coloured background, very nice. These are beautiful! Cool shot. I got one of those at the Pacific Science Center a couple years ago.